This week we interviewed Yeşim Kunter: a world-renowned play expert. Yeşim is best-known as the “woman who makes CEO’s play games.” She understands behavior of people to create new organizational experiences. 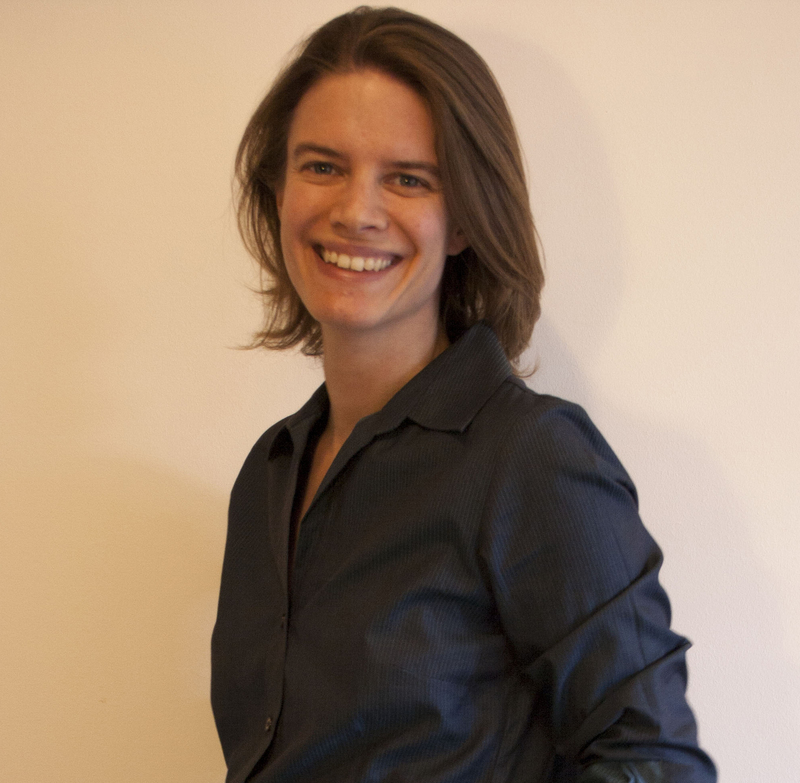 Before founding her independent consultancy she worked for Hasbro, Lego Group, and Toys R Us in New York. As a futurist at Hasbro she was part of an innovation team dedicated to uncovering disruptive new play experiences for children and adults. Currently Yeşim is an independent consultant for developing PLAY to Innovate Workshops for 500 Fortune Companies, giving speeches on Play at Universities and conferences such as World Innovation Conference at Cannes. Let’s see what Yeşim has to say about the future of organizational development! Yeşim can be reached from LinkedIn, Twitter, Facebook, and from her website. Thank you for your time Yeşim. Gamification is such a trending topic and I’m really looking forward to picking your brain! First of all, what is gamification? – It is simply being in a playful state of mind. There are also some skills needed to implement game mechanics onto a situation. With this mindset and skills, a player starts to experience the situation in a playful way, coming up with new strategic applications, processes, and perspectives. Can you elaborate on game mechanics How many are there? How do we know we are using the right one? – Game mechanics vary from situation to situation. So, I suggest a situational approach depending on the behavior and experience you’d like to create. There is no one “fix menu” for each case. Depending on the problem you need to redevelop and create a narration. You have to adapt to and motivate the audiences. How do businesses use Gamification right now? – Gamification has been used by many brands as a marketing tool. For instance, Foursquare and Starbucks partnered up so that you could collect badges, become the Mayor of a location, and drink free coffee. That’s a prime example of gamification used to increase customer engagement. There are many great examples of Gamification and how it had been used all around the world to enhance the brand awareness. As you mentioned, we often see brands gamifying their services. Does that mean gamification is suitable only for external communication? Or can it be used for internal organizational problems? 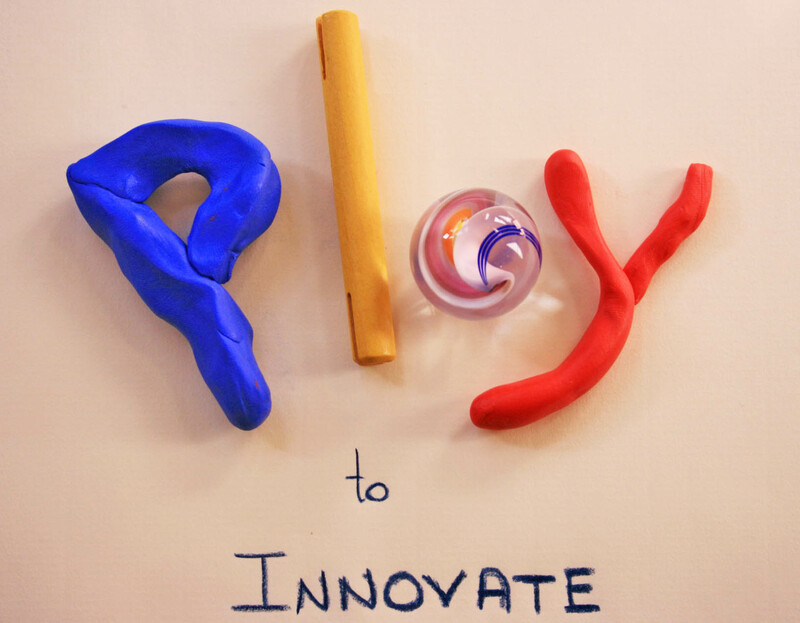 Gamification, Game Play… I also heard you mentioning a broader term called Playful Thinking. What is that? – Think of Chess for example. It was designed to discipline the mind and practice strategy. Organizations too, need to develop certain skills. 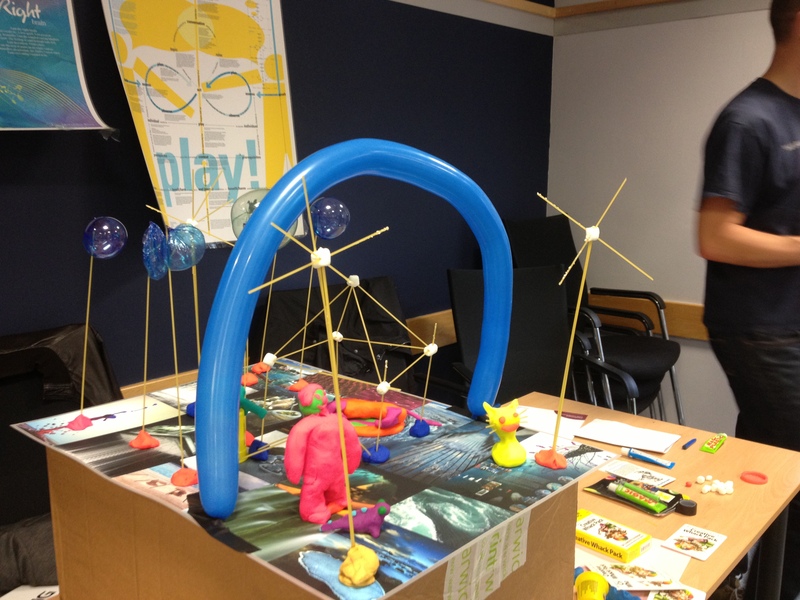 Playful Thinking is more than Gamification. It allows organizations to develop those skill-sets through different play styles such as Active Play, Symbolic Thinking, Object Play… all of these of course can exist in a gamified environment. Quite a vocabulary! Yeşim, everybody’s interested in gamification. Why do you think organizations are talking about it “now”? – Firstly, there are generational changes. Most of the young employees (Gen Y) were grown up as gamers. They think in terms of gaming mechanics: rewarding systems, leveling up, collecting information, finding solutions, problem solving, teaming up… These are some of the mechanics that we see occurring with Playful Thinking. There is also a pressing need to innovate and come up with creative solutions. Outdated theories and ways of doing business that used to be perfect for the Industrial Age don’t work anymore. We need more robust, adaptable, innovative solutions. The marketplace is changing so quickly and smart organizations are looking ways to cope with that. That’s why people are turning to play. Yes, but we have proven organizational theories and strategies, which created all these big, international, and successful corporations. What is wrong with them? And how is Gamification different? – The biggest hurdle for an organization is to engage its employees to be part of the change. What gamification does, it creates a safe environment... An environment that is more experimental, hands on, and engaging rather than very much engineered as if it is a mechanical problem. Here you have more humanly qualities; there is a narration, which helps employees with navigation. Again, I would like to open this into a broader terminology: Playfluence… Creating a sustainable, happy, and effective workforce through playful environments, engagements, and Gamification tools and mechanics, as well as adding different engagements from the Play Theories. That’s the future of organizational development. You work with many big organizations. What are the top 3 organizational problems you observe? What is the root cause of these problems? – Every organization becomes comfortable over time. I don’t mean this a bad thing. They simply develop habits to be more efficient. But after a while these habits –due to the changing external factors- become problematic. Since every organization operates within its comfort zone, nobody wants to change! It is that simple! Change is not an easy task and can take time. Thanks to Gamification or Playfulness methods, organizations can change their mindsets and look at their problematic areas like an outsider. All of a sudden it becomes easier to expand your comfort zone and move to the new adapted phase. Based on your experience, what are the top benefits of using game mechanics in an organizational setting? – First and foremost, it makes it easier to train people for different situations. It is like a fire drill: You show them a hypothetical scenario, and they know what to do when push comes to shove. Second, playfulness creates a healthy competitive environment, motivating employees by leveraging creativity and innovative thinking. Also, game mechanics are great for quick feedback and assessment. Those two are key to learning! Don’t forget that games are inherently fun and engaging. So, game mechanics increase productivity naturally. Can you give us some examples of successfully implemented game mechanics in organizational settings? After having worked with so many organizations, how would you define success for a gamification project? – The most important thing in a gamified setting is the engagement of people. If you see a huge vibe around the organization, and people are genuinely playing then I would say it is a successful Gamification, no matter what your original goal was! How do you see the future of gamification with respect to organizational development? Gamification is a great tool and will be used frequently to create more competition, diversity and variety of suggestions, as well as stronger employee and customer engagement. But game mechanics alone will not be enough to create more creativity, and new perspectives. We need to look at the bigger concept, which is PLAY. I would love to use the terminology of Playfluence a bit differently then Kam Star. Play is not all about games. Different play patterns without any game in it can still influence the way we think and see the big picture. That’s why Playfluence is the bigger concept for me. For those of us, who are interested in learning more about gamification, can you name us three books, three blogs and three people to follow on Twitter?